Photo Flops! Patricia Arquette Goodness! Billy Meets The Boyhood Star But His Photo… It’s A Flop! Billy Beers Barstool January 31, 2016 Billy Beer's Barstool, Photo Flops! Billy’s Got The Spirit! After Braving The Rain And Meeting Patricia Arquette! Jessica Chastain! Marion Cotillard! And More! Billy Beers Barstool January 22, 2015 Billy Beer's Barstool, Fanboying! Awards Season Goodness! 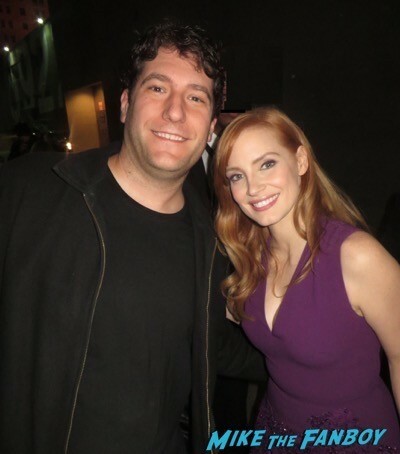 Meeting Jessica Chastain And Boyhood’s Patricia Arquette! Autographs! Photos! And More! mike January 14, 2015 Fanboying!